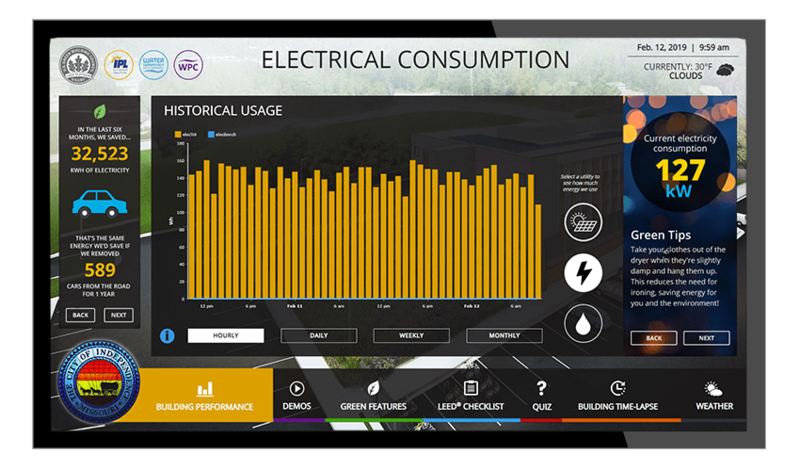 Use live data with our custom dashboard to educate your building occupants about energy efficiency. 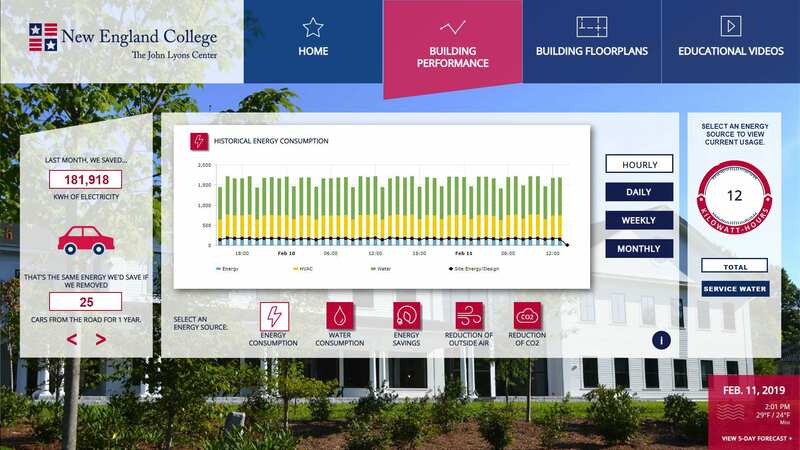 The HTML5 Energy Efficiency Education Dashboard® v6 enhances the story of your building’s performance and green features. 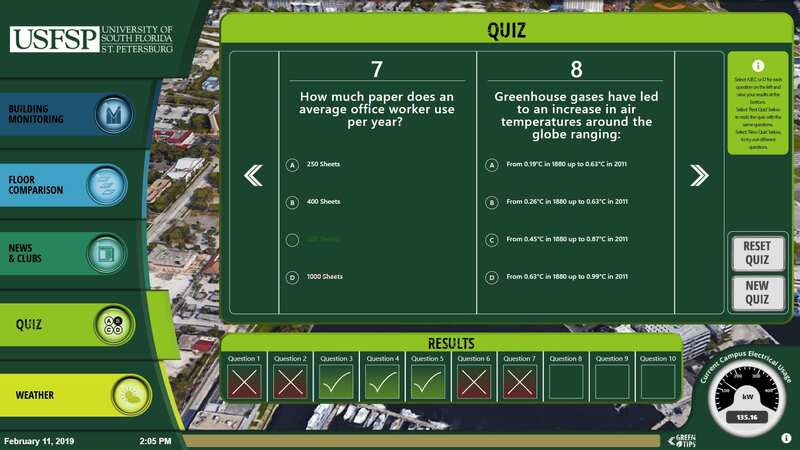 QA Graphics’ HTML5 Energy Efficiency Education Dashboard® v6 (EEED) is a web application that educates building occupants with real-time energy data and green building features. Our dashboard uses the latest web technologies and communicates with your data through our QA Gateway. 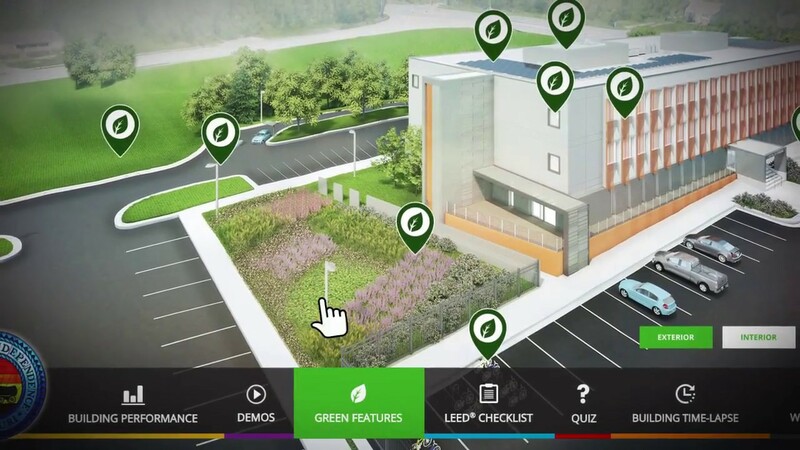 This product is ideal for any organization wanting to teach others about their green building features and energy efficiency practices. 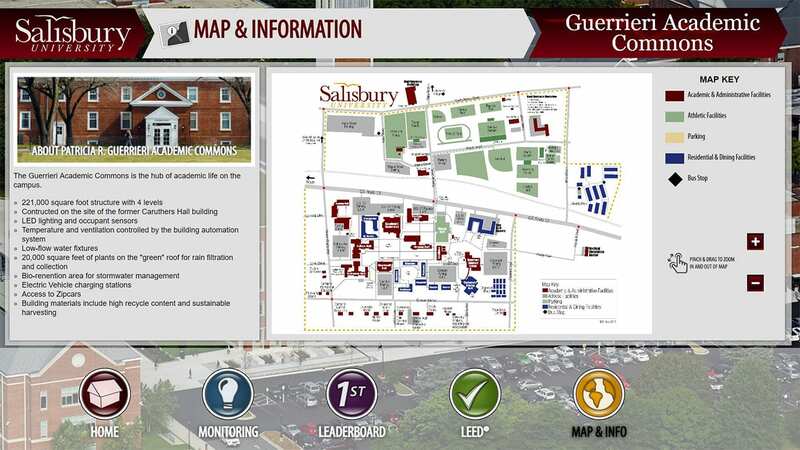 The dashboard is used by schools, universities, businesses, healthcare facilities, data centers, and more. *Add-ons and change orders will result in additional cost. 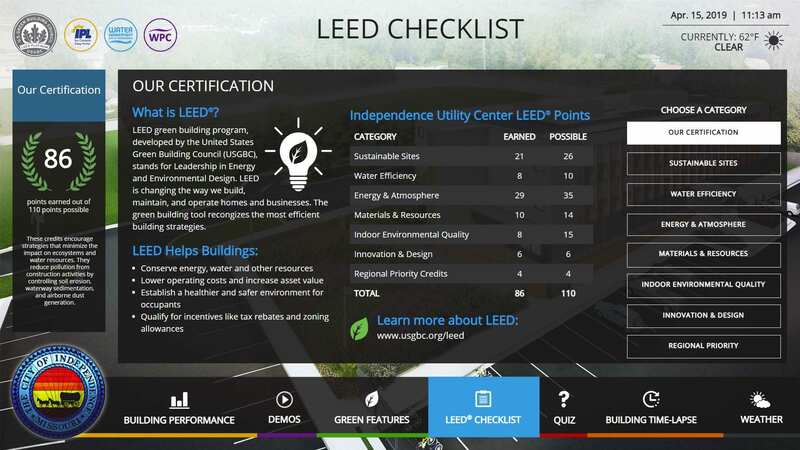 Specify our dashboard for your LEED project. Leave the spec writing to us. 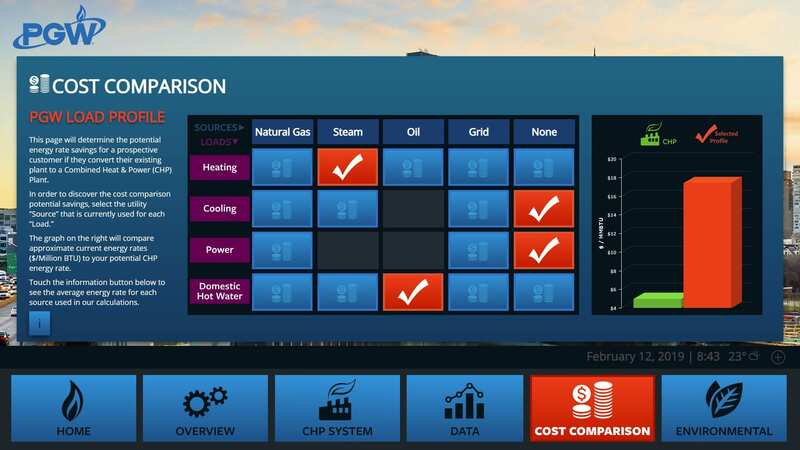 Our sales team has experience writing energy dashboard specifications and can customize to meet the needs of your project. 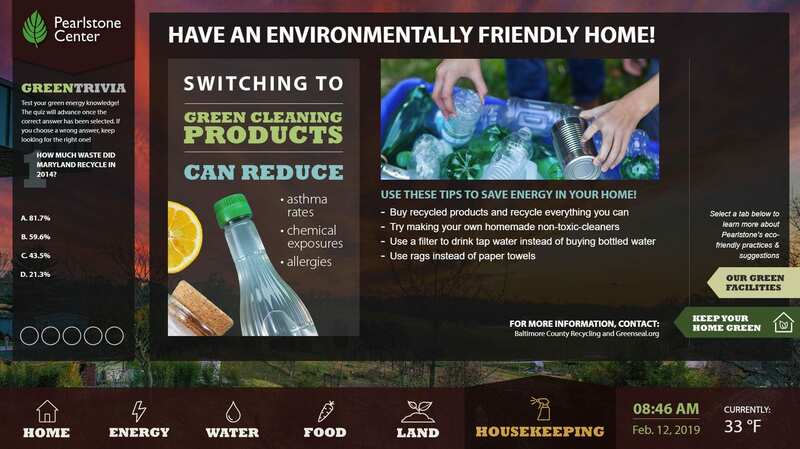 Educating your occupants helps them understand their energy consumption, creating a sense of personal responsibility to make more sustainable decisions. 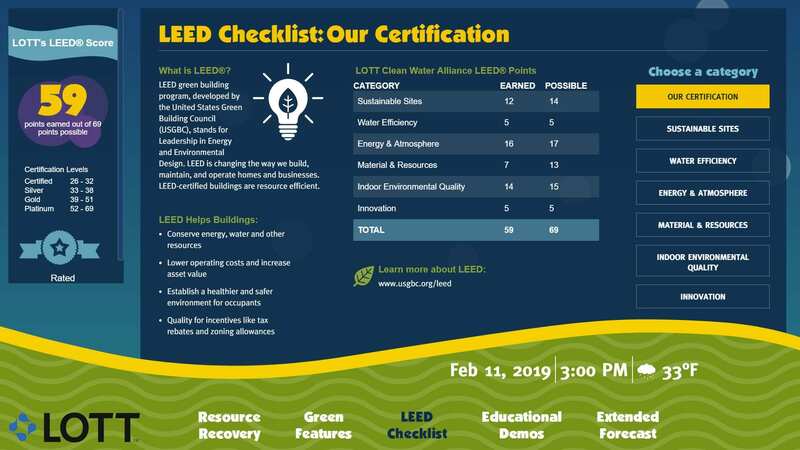 The EEED creates occupant awareness in a way that’s easy for users to digest through the display of building performance data, demonstrations of sustainable building features, energy efficiency tips, and other interactive educational features. 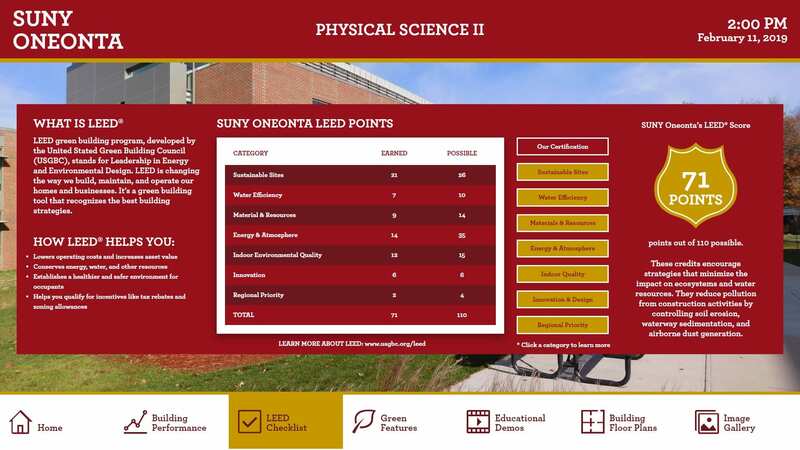 The EEED also lets you compare building performance data among buildings and/or floors. 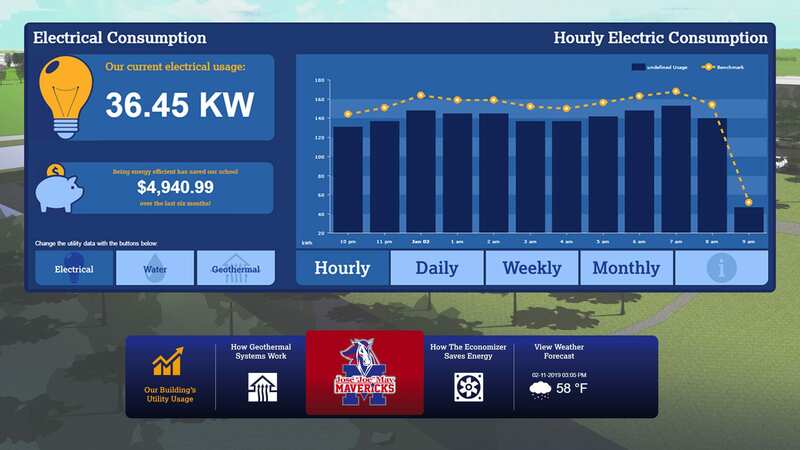 Energy dashboards communicate with the building automation system (BAS) or other devices to display the data in a way that’s easy to understand. The EEED v6 is creative and embraces modern design, technology, and is user friendly. Built with the latest web technologies to make them functional and practical. 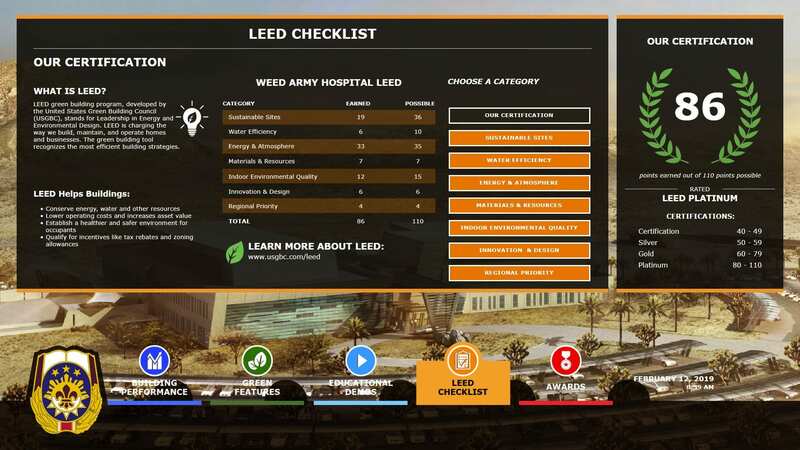 Each dashboard comes with a Content Management System (CMS) that allows clients to update text and photos after their EEED v6 has been completed. The CMS is built with our client’s needs in mind, created in a WordPress platform. By developing the frontend in HTML5, the EEED v6 eliminates security risks associated with applications developed in Adobe® Flash, and clients can use their applications in more ways than ever. 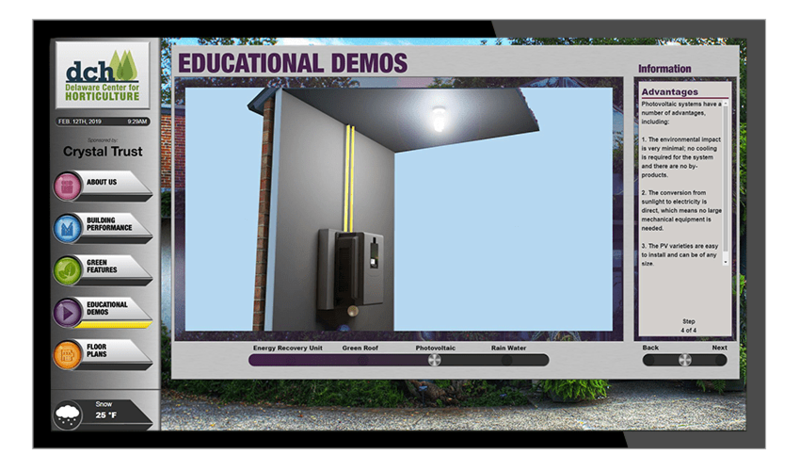 Share the interactive web application on a display in a common area or on any web-enabled device. 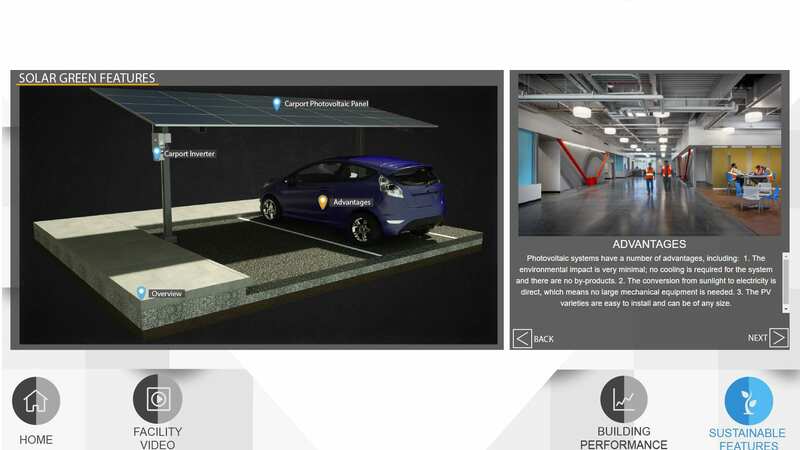 Highlight your building’s sustainable features with dynamic visual demonstrations. 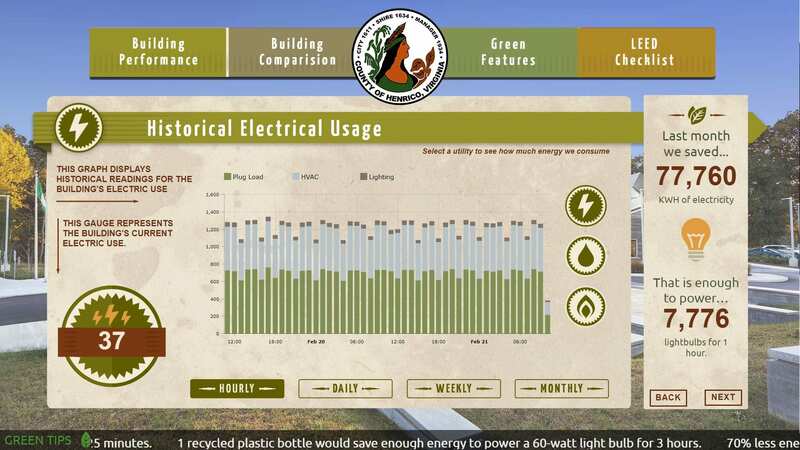 See savings per year, months to payback, and lifetime savings for specific energy efficiency initiatives. 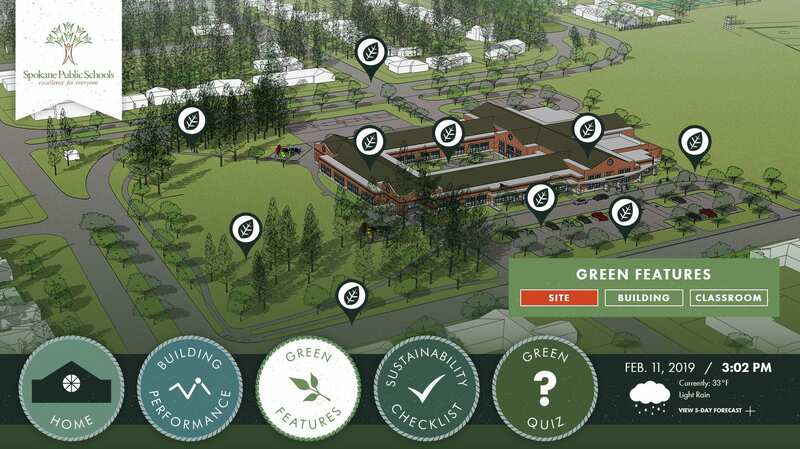 LEED®, CHPS, and Green Globes – Showcase the sustainable efforts you have made in the design and construction of your building. 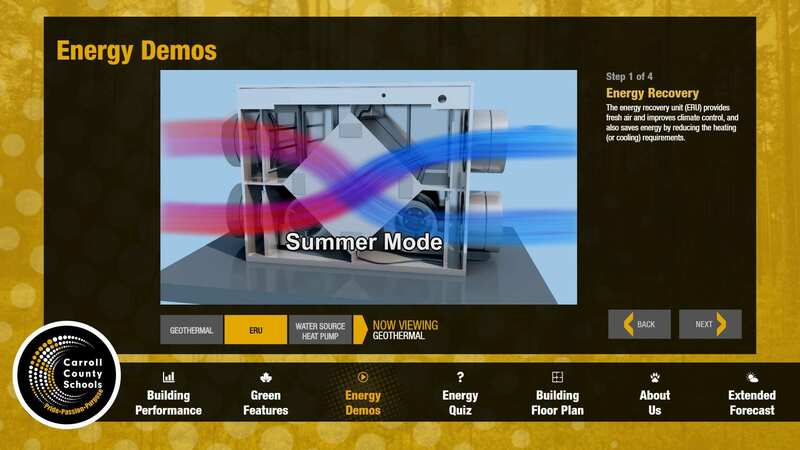 Display your facility’s performance metrics on easy to understand charts and gauges. Our partnership with NEC Display Solutions of America allows us to provide a variety of commercial-grade touchscreens, kiosks, and LCD displays at a very competitive price. Learn more about the MangoES Gateway here. 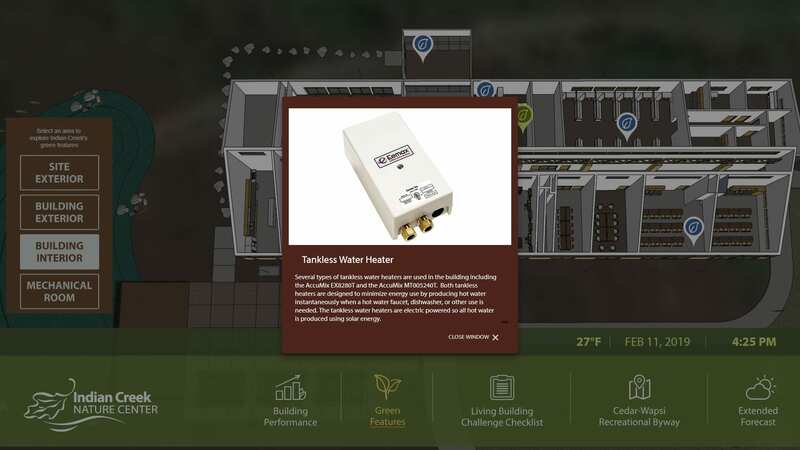 EEED v6 communicates with the Building Automation System through the QA Gateway to access current and historical energy data and visualize it in a way that’s easy to understand. The QA Gateway is the backend component to our energy dashboards, powered by the Mango ES. It serves as the middleware between your BAS and the EEED. 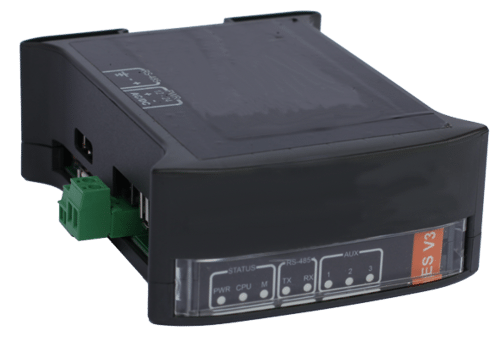 Easily read multiple protocols so there is no need for extra drivers or software. 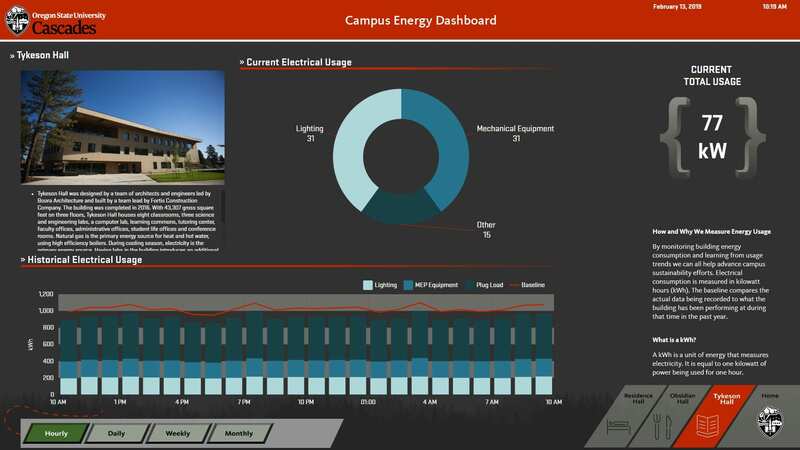 Quickly and efficiently display your facility’s performance metrics in easy to read graphs. The QA Gateway is capable of storing millions of historical points while using a small amount of disk space. 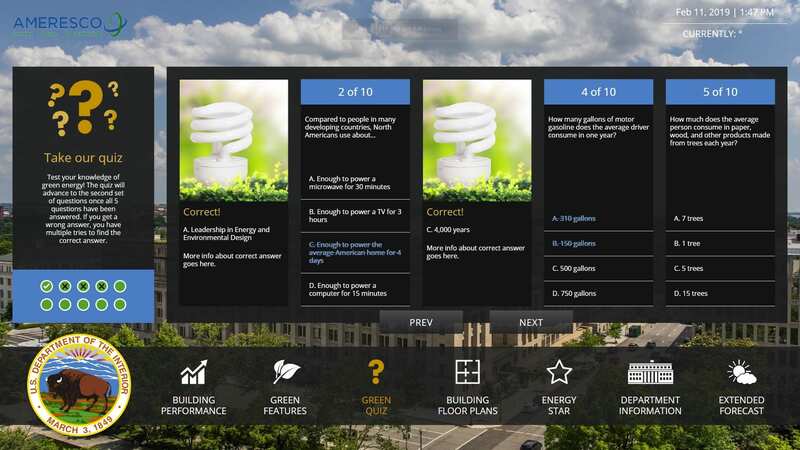 The solution looks great and is very user friendly. 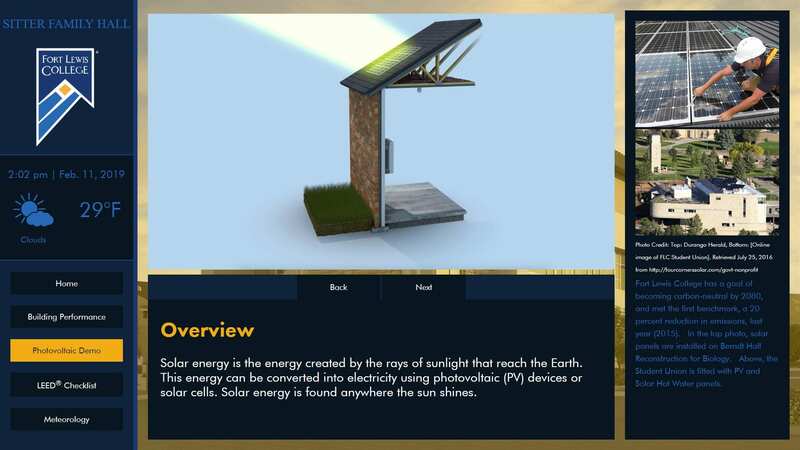 The interactive demonstrations are the most used feature on the dashboard, showing how the geothermal and solar panel systems work.